Planning on volunteering? Although you’ll be contributing to society through your volunteer work, society isn’t always as generous in caring for its volunteers as it is in caring for its paid workforce. While nearly 56 percent of working-age adults in the United States had employer-sponsored health insurance in 2017, don’t count on your volunteer organization providing health insurance. 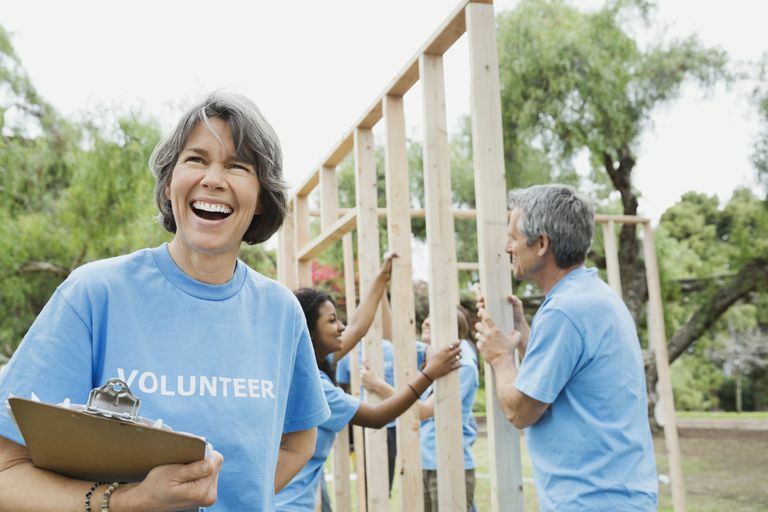 Although some large, well-funded volunteer organizations do, many don’t. If you’re going to volunteer, you not only need health insurance, you need a bit of savvy to navigate the complicated world of health insurance regulations. If you’re a legal resident of the U.S., whether or not you’re a citizen, the Affordable Care Act requires that you have health insurance that meets the description of minimum essential coverage. If you don’t, you might have to pay a tax penalty, the individual shared responsibility payment. This penalty will be eliminated after the end of 2018, under the terms of the Tax Cuts and Jobs Act that was enacted in late 2017. But it still applies in 2018, and will be assessed on 2018 tax returns that are filed in 2019. Learn how much your penalty would be. See if you might be exempt from the penalty. Here are your options for health insurance coverage as a volunteer. Some large, well-known, well-funded volunteer organizations provide some full-time volunteers with health insurance. The Peace Corps, AmeriCorps, Lutheran Volunteer Corps, and organizations that are members of the Catholic Volunteer Network are among them. If you choose to volunteer for an organization that provides health insurance benefits, ask if the health insurance meets the Affordable Care Act’s requirements for minimum essential coverage. If it doesn’t and you’re a legal resident of the U.S., you’ll need to get coverage that meets minimum essential benefits standards, address the issue of the tax penalty by paying it or get an exemption from the penalty. Note that Peace Corps volunteers are covered under the Peace Corp's medical coverage, and there's an ACA penalty exemption for people who are overseas for at least 330 days in a year. Once your Peace Corps services ends, you'll have access to a Peace Corps short-term health insurance plan, which is not ACA-compliant, but you'll need to transition to ACA-compliant coverage within 60 days of returning to the US. AmeriCorps medical coverage is provided to volunteers at no cost, but it does not meet the ACA's requirements for minimum essential coverage. Volunteers are subject to the ACA's individual mandate penalty unless they have another source of coverage in place, or qualify for an exemption from the penalty. If you're volunteering outside of the United States for a year or more, you may have some relief from the tax penalty for being uninsured. Those who are in a foreign country or countries for at least 330 days in a 12-month period are eligible for an exemption from the mandate to have health insurance. The rules governing this exemption are complicated, so speak to your tax adviser before assuming you'll qualify. You'll need to meet the standards set forth as the "physical presence test" in IRS Publication 54, A Tax Guide for U.S. Citizens and Resident Aliens Abroad. Some countries allow those visiting under certain types of visas for long periods of time to buy into whatever the health insurance system of the country is. Whether this option would be available and what type of health insurance system is available will vary dramatically from country to country. If you discover this is a viable option in the country where you'll be a long-term volunteer, investigate the coverage and the health care quality available in your host country carefully before committing. Ask yourself if you'd be content getting care in your host country if you were to get seriously ill or severely injured. If you would want to come back home in that case, then you'll also need a plan to address how you'll pay for evacuation back home as well as how you'll pay for continued medical care back in the United States if your host country's health insurance system won't cover you when you return. Medicaid is a government social welfare program that provides health insurance to some low-income U.S. residents. Since Medicaid is administered by the states, Medicaid differs from state to state. In many states, you’re likely to qualify for Medicaid if your income is 138% of federal poverty level or lower (as of 2018, this is true in 31 states; Maine is expected to be added to that list in 2018, and residents in a few other states will be able to vote to expand Medicaid in the 2018 election). However, Medicaid doesn’t always provide benefits for those traveling outside of its geographic coverage territory. If your state’s Medicaid works like this and you’re planning on volunteering out of the country, Medicaid won’t help you much unless you come back to the state that provides your Medicaid coverage when you need health care. A short-term health plan can be purchased directly from a health insurance company or through a broker. Short-term health plans offer coverage for a specific time period (up to three months, as of 2018, although that's expected to be extended to 364 days under regulations that the Trump Administration is expected to finalize in 2018; some states will continue to restrict short-term plans to shorter terms). Premiums tend to be lower for short-term policies than for major medical comprehensive coverage, but there are reasons these plans cost less than comprehensive coverage. Short-term plans don’t have to comply with all of the consumer protection mandates in the Affordable Care Act. This means short-term health insurance is still subject to underwriting: These plans generally do not cover pre-existing conditions, and can reject application altogether based on medical history. They also place upper limits on how much they will pay out in the event you’re sick or injured, and they do not have to cover all of the essential health benefits (most short-term plans do not cover mental health care, maternity coverage, or prescription drugs, for example). Because of these characteristics, short-term health insurance doesn’t satisfy the Affordable Care Act’s minimum essential coverage mandate; you’ll still have to deal with the tax penalty. If you have to travel a significant distance to reach your volunteer service site, consider travel insurance. Although travel insurance typically covers things like lost luggage and extra expenses incurred due to travel delays, there are travel insurance plans that are specifically designed to cover medical care outside the US. As with short-term health insurance, the medical coverage portion of travel insurance isn’t subject to all of the Affordable Care Act’s rules. It may exclude pre-existing conditions, exclude coverage for certain types of medical problems, and limit its maximum payout. For example, it’s common for travel insurance to exclude coverage for injuries related to participation in extreme sports like bungee jumping and kiteboarding. One big benefit of travel insurance: it may include evacuation coverage. This coverage would help pay for the costs associated with transporting you out of a remote area to a hospital capable of treating your illness or injury. Sometimes you can upgrade this benefit to provide coverage for transporting you not just to the nearest hospital capable of caring for you, but to the hospital of your choice. For example, if you’re volunteering in central Africa, this coverage could make the difference between being transported to a hospital in a major population center of your volunteer-site country, being transported to a hospital in a more developed nearby country such as South Africa, or being transported back to a hospital in your home country. However, once again, travel insurance doesn’t satisfy the Affordable Care Act’s mandate to have full health insurance coverage. There's an exemption from the ACA's mandate if you're outside the US for at least 330 days in the year, but if you're volunteering for six months and in the US for the other six months, you'd have to pay a penalty for the six months you're abroad if you rely on a travel insurance policy during that time and don't maintain your regular US-based coverage during that time. If you’re under age 26 and one of your parents lives in the United States and has comprehensive health insurance, you may be able to get health insurance coverage under his or her plan. This is true whether or not you live with your parents and even if you’re married. Once you turn 26, you’ll have to find other coverage, but you’ll have options. If you’re married and your spouse has health insurance, look into getting coverage under his or her health plan. Some employers even help to offset the cost of the monthly premiums for their employees’ spouses. With both of these options, if you’ll be traveling out of the country for your volunteer service, investigate how the insurer treats illness or injuries occurring abroad. Some cover emergencies only, some provide no coverage at all abroad, and some provide full coverage but only if you’ve been abroad for a limited period of time. So you may need to also purchase travel insurance to ensure that you're covered when you're outside the country. The good news about this type of coverage: if your parent or spouse gets coverage through his or her job, it almost certainly counts as minimum essential coverage. You won’t have to deal with the penalty. If you’re a citizen or legal resident of the United States, consider enrolling in an Obamacare plan sold through your state’s Affordable Care Act health insurance exchange. All of these plans count as minimum essential coverage and provide comprehensive benefits without limits on how much they’ll pay for your health care. Additionally, you may be eligible for help paying for health insurance you buy through your state’s exchange. The government provides subsidies to make health insurance more affordable for those with incomes 400% of federal poverty level or below. There are even subsidies to help pay deductibles and copays for people with incomes below 250% of poverty level. Read each plan’s Summary of Benefits and Coverage carefully to make sure you’ll have coverage if you plan to travel out of the country, as many don’t offer coverage while traveling abroad. If the plan you’re considering is a managed care plan, look carefully at the provider network to make sure you’ll be able to find providers in the geographic area of your volunteer service. Again, you might need to purchase supplemental travel insurance, but your Obamacare plan will ensure that you're not subject to the ACA's individual mandate penalty. If you’re less than 30 years old and a citizen or legal resident of the U.S., you’re eligible to buy a catastrophic health plan on your state’s Affordable Care Act health insurance exchange. Catastrophic plans may be cheaper than regular health plans but have very high deductibles. Because the deductible is so high, these plans best suit those not expecting to need to use their health insurance, or those with substantial savings that can afford to pay thousands of dollars out of pocket for health care before their health insurance kicks in. Premium subsidies can't be used for catastrophic plans, so these plans are also generally only suitable for people who aren't eligible for premium subsidies. If you’re 30 years old or over, you aren’t normally eligible to purchase a catastrophic plan. However, an exception to this rule allows those 30 and older to buy a catastrophic plan if they first get a hardship exemption from the ACA's individual mandate. If you currently have health insurance through your job, even after you quit your job you may be eligible to continue that coverage for up to 18 months by using COBRA continuation coverage. Under COBRA, you’ll pay the part of the premium that used to come out of each of your paychecks plus the part of the premium your employer used to pay. Additionally, you'll pay a 2 percent administrative fee. COBRA coverage administrators don’t cut much slack with late payments; if you’re even a little late on a payment, you can lose your COBRA coverage permanently. AmeriCorps. AmeriCorps Healthcare Benefit Plans and the Affordable Care Act. Congress.gov. H.R.1: An Act to proved for reconciliation pursuant to titles II and V of the concurrent resolution on the budget for fiscal year 2018. Enacted December 22, 2017. Internal Revenue Service. Individual Shared Responsibility Provision — Exemptions: Claiming or Reporting. Peace Corps. Insurance Through the Affordable Care Act.